We turned to know something about windows 7. In today's post their are some smart ways to speed up your system while you installed windows 7. Windows 7 is faster than Windows xp and vista, but sometimes you feels it slow, if you so then you are in the right place, so follow the below instructions to make it faster. As sometimes we installed a software/program for some work but some of these softwares, we don't use after that but it still on our pc it make our system performance slow. So you can make it fast by uninstalling unnecessary programs from your pc. 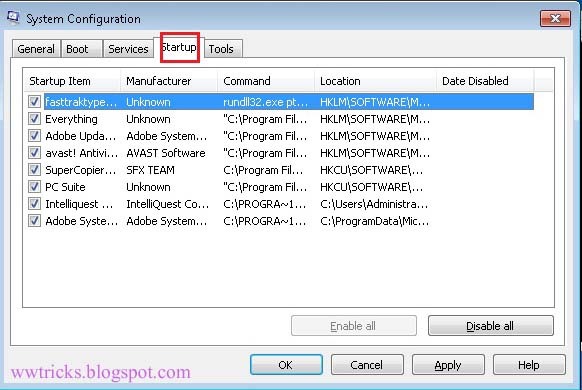 To uninstall goto control panal->programs and features and then here select the program you want to uninstall. Step-1:Fist right click on "my Computer" and select properties. STep-2:Click on "Advanced system setting" present in the left side.A new window will pop up named"system properties". 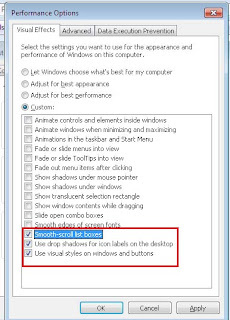 step-3:In the nwe window click on "Advanced" and then under the performance tab click on settings. Step-4: Now in the new window click on "Adjust for the best performance" to uncheck all then check the last three as shown in the below picture and click apply. 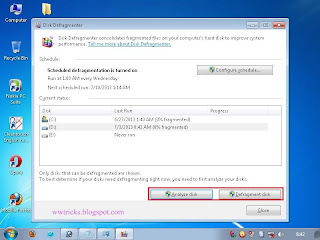 So to defragment disk in windows 7 Go to START->programs->Accessories->system tools->disk defragmenter. After going on this path click on analyse disk and then on defragment disk. Now the disk defragmentation will be in progress. 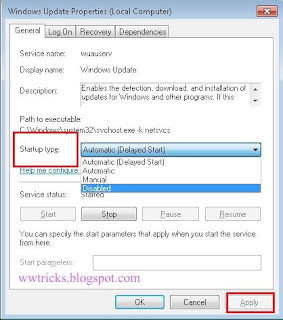 Activating many programs in start up may cause to slow down your system because it need space and if it takes space just in start up then surely it will slow down your system so choosing some important programs in start up can make your computer faster. So goto Run Type in run "CMD" hit enter type "msconfig". a new window will pop up. in the new window click on "startup" Now in the start up tab you just uncheck the programs that are unnecessary in start up. You may noticed that we are not using this feature but still this works in background and take the space and make system slow. 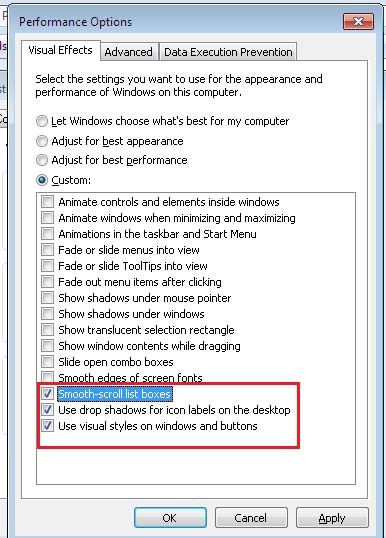 To disable right click on "My Computer" click on manage and then click on services and applications and then click on services,Now in the list you can see on your screen right click on "windows search" select properties, in a new window in "startup type" select disabled from the drop down. Now you will feel that your system is work fast. their are also a lot of more methods to speed up your system but the above we mentioned is more important. We're glad if the post helped you!